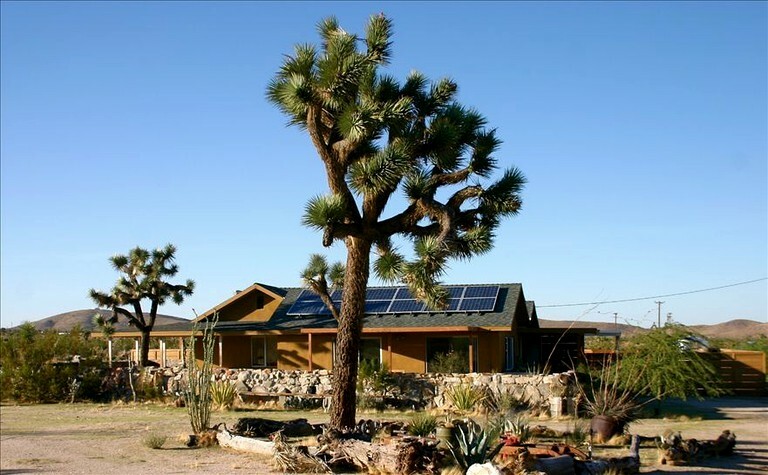 This out-of-the-way cottage rental lies just minutes from the Joshua Tree National Park, California, on a beautiful, 20-acre retreat. Up to eight guests can be accommodated for in this secluded cottage, which includes two bedrooms and two bathrooms. 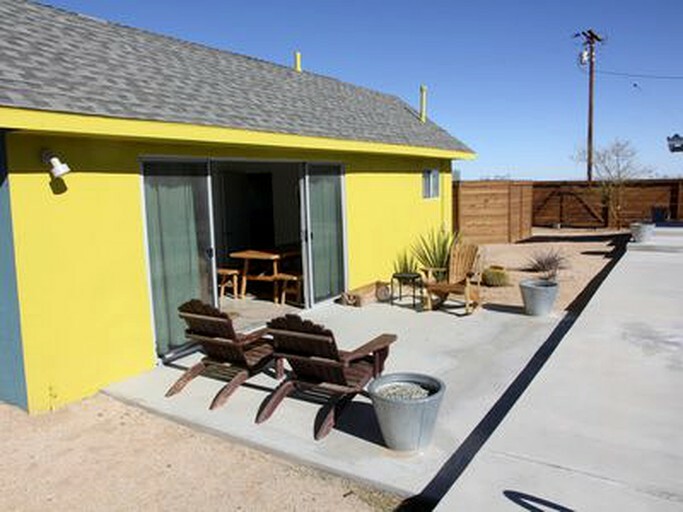 This accommodation consists of two separate living quarters, the main house, and the studio loft. 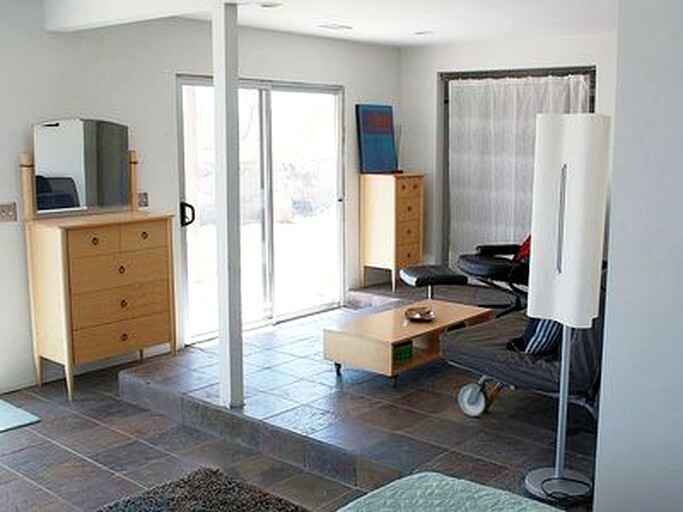 There is a queen-size bed in the bedroom of the main house, as well as a double futon. This master bedroom offers plenty of space and a comfy seating area with sofas and armchairs. 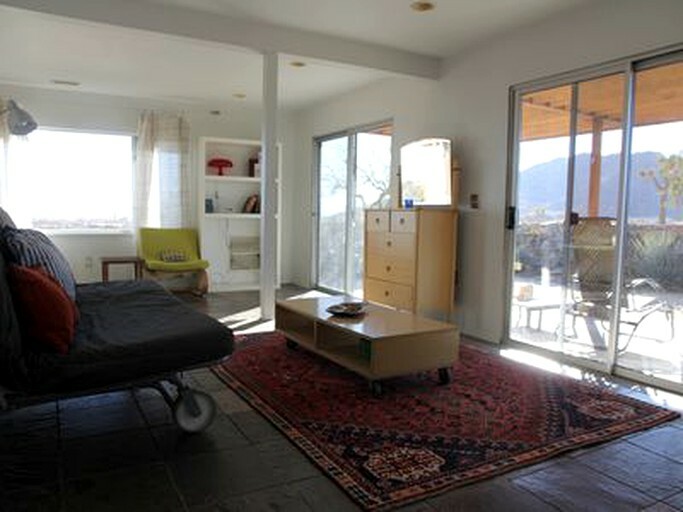 It also features sliding glass doors that lead outside and afford excellent views of the wildlife beyond. 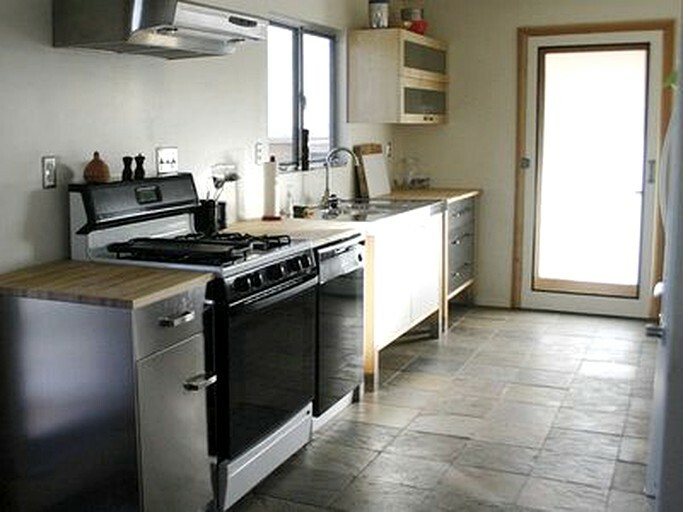 The main house comes equipped with a full kitchen, which includes a fridge, an oven, a stove, a microwave, a toaster, a dishwasher, an ice maker, a coffee maker, pantry items, and all necessary cookware. 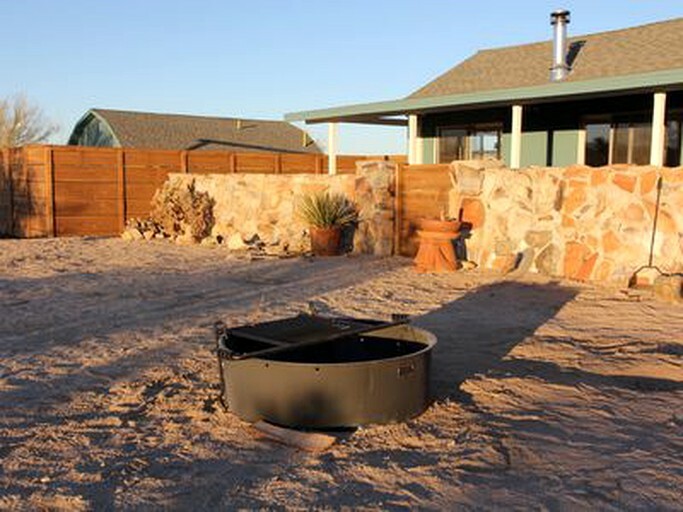 If guests would like to, they can also fire up the outdoor gas or charcoal grill to enjoy a delicious barbecue. 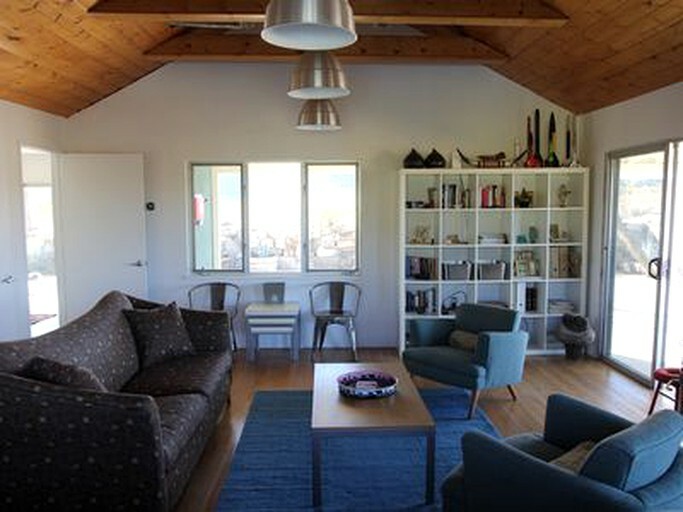 The main room of the cottage features an open-plan design and hosts a large dining table and a spacious lounge. 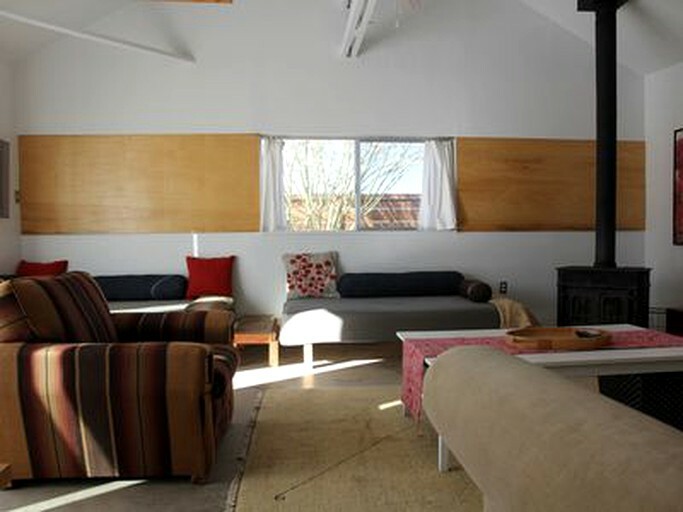 The lounge is furnished with a stylish sofa and two armchairs and boasts a wood burning stove for extra coziness. In the separate studio, guests will find a queen-size bed and a lovely lounge area that provides two single sleeper sofas and a wood stove. 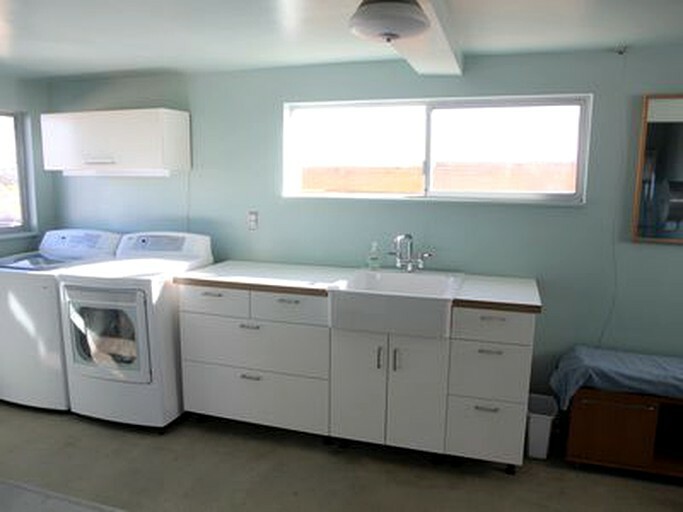 The studio also comes with a bathroom and a laundry room equipped with a washing machine and a clothes dryer, which is perfect for longer stays. 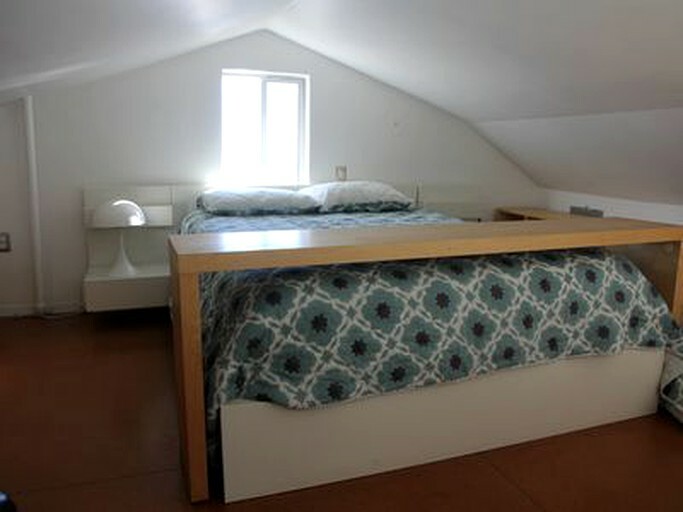 Guests will also be supplied with bed linens and towels in both the main house and the studio. Guests can enjoy a refreshing swim in the saltwater swimming pool and chill out on the observation deck, where they can admire the magnificent views. 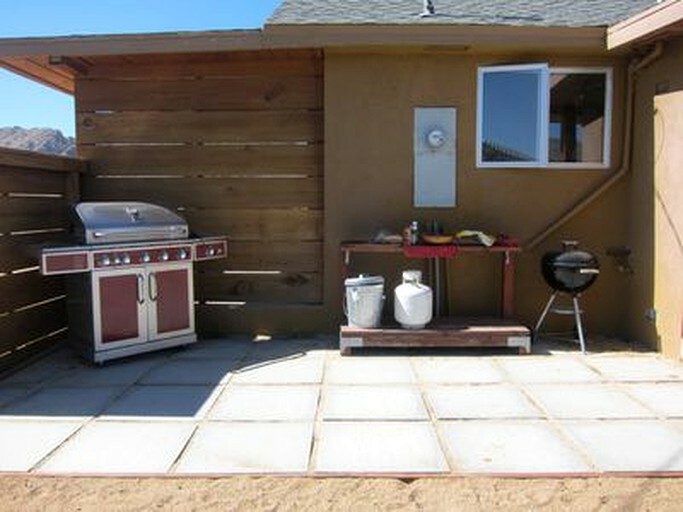 Outside, guests will also find a gas grill and a small Weber charcoal grill if they are in the mood for a barbecue. 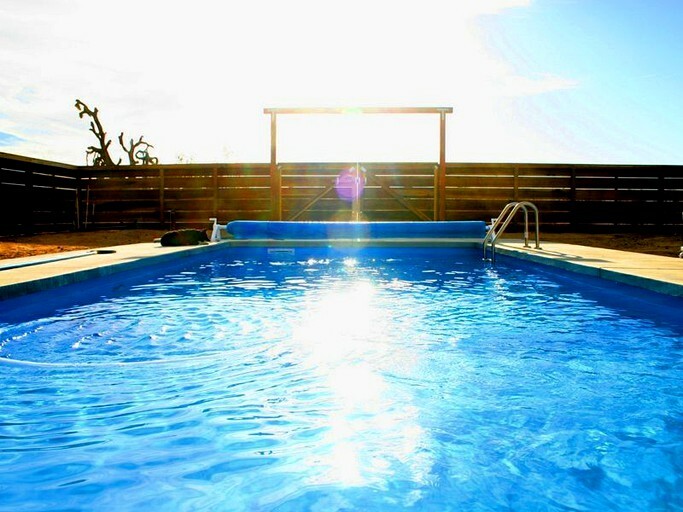 The property offers off-street parking for guests´ cars, boats, RVs, or trailers. 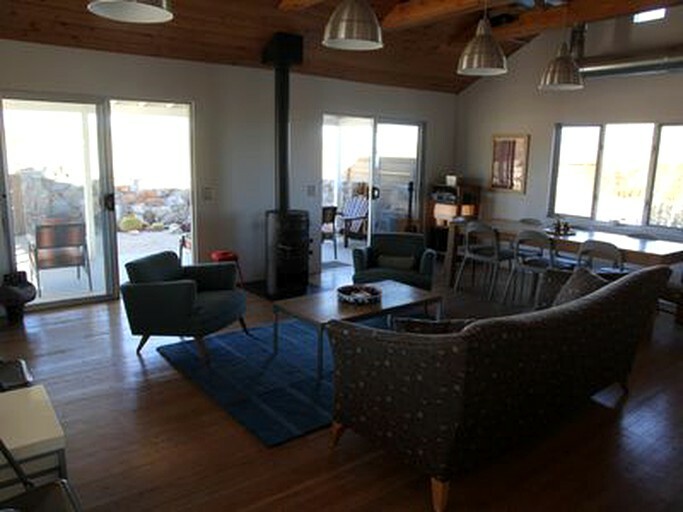 Inside, the property is fitted with forced-air heating and a wood-burning stove just in case the temperature drops. 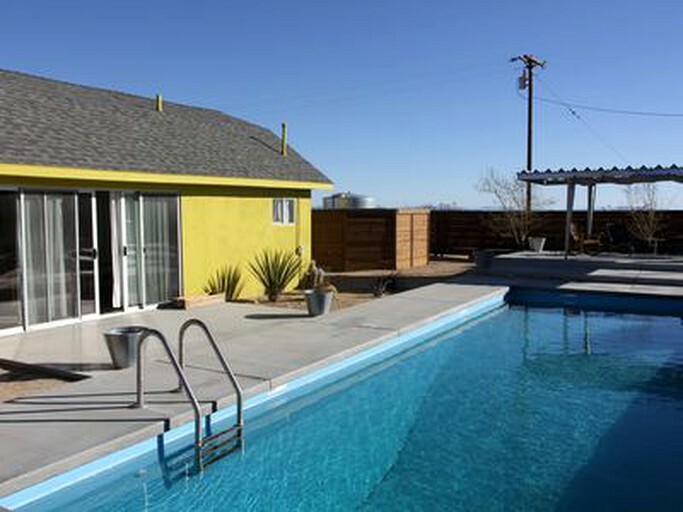 It is also equipped with a TV for watching DVDs, a DVD player, a CD player, a stereo, and Wi-Fi, so guests can remain connected with the outside world. 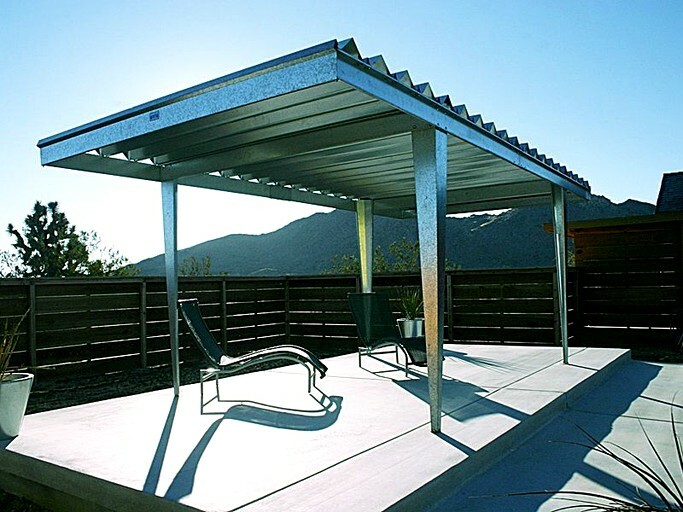 Moreover, guests are provided with modern amenities, including an iron and ironing board, a washing machine, a clothes dryer, and a hair dryer. 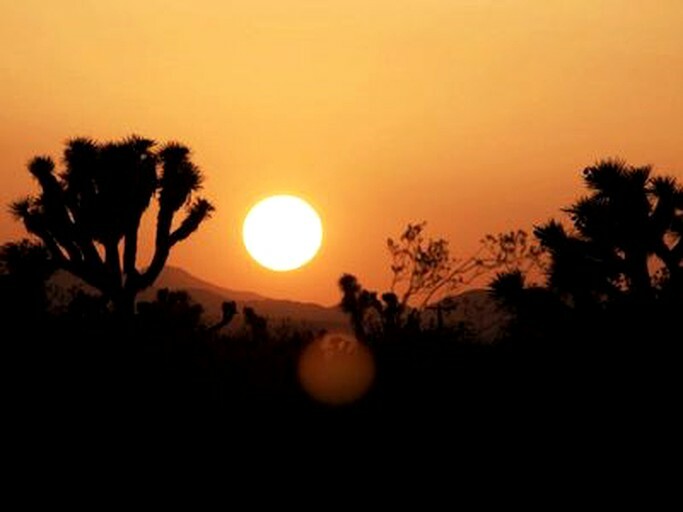 Guests can spend their days exploring the enchanting Joshua Tree National Park, which is just a stone's throw away. 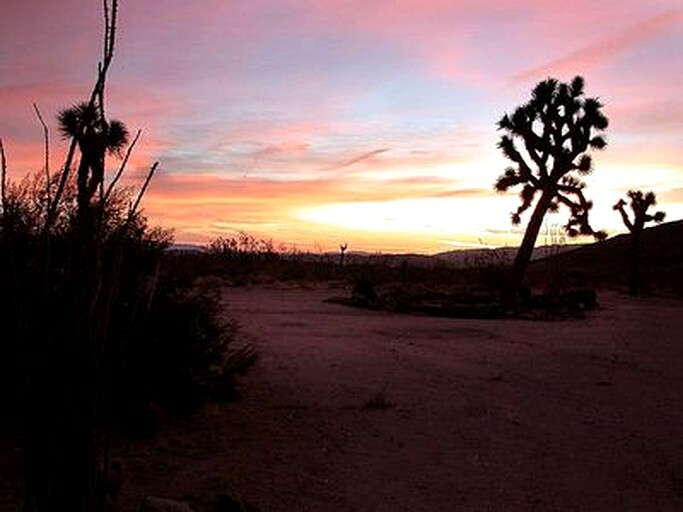 The park consists of two desert ecosystems and is home to a wonderful range of wildlife. This is the perfect spot for the avid adventurer with hiking, mountain biking, and horseback riding opportunities abound. If guests are feeling brave they can even try their hand at rock climbing, bouldering, and slacklining, which are all popular activities here. Nature lovers will find themselves in paradise, with excellent opportunities for bird watching, viewing the stunning wildflowers, and wandering the beautiful nature trails. 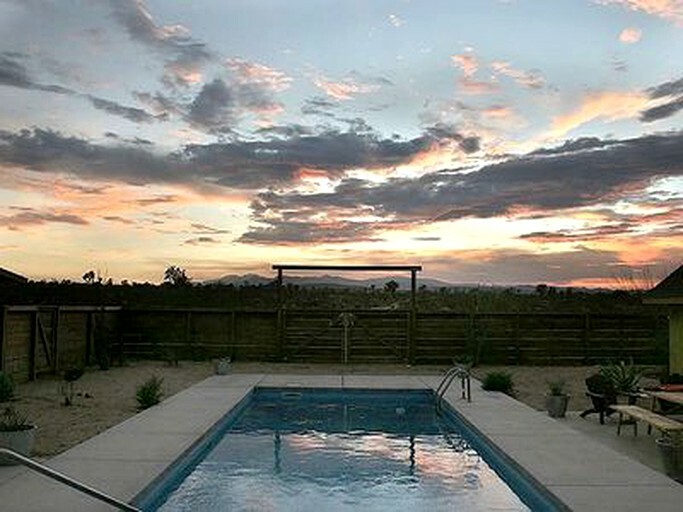 When the sun sets, guests can gaze at the glittering, starry night sky and maybe even catch glimpse of a shooting star. The maximum occupancy for this property is eight people and children are welcome. Rates are based on four people, there is an extra, per person charge for additional guests. 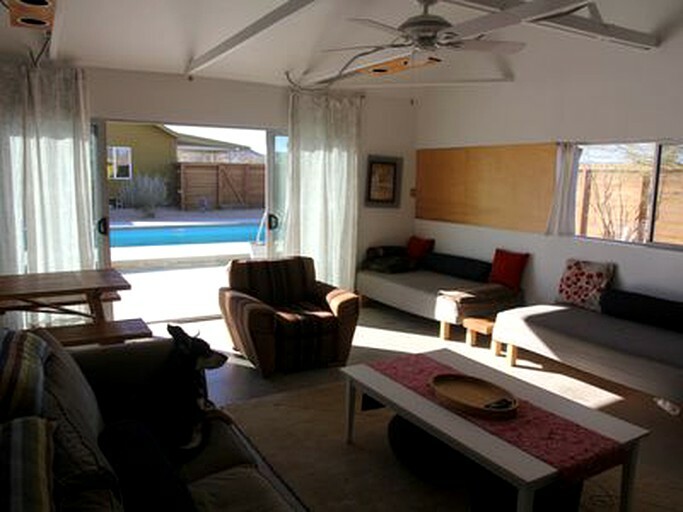 This property is pet-friendly and if guests bring their pet they are required to pay an additional fee. Guests must also pay an additional cleaning fee of $10.